Elegance and grace in design is not synonym with an abundance of detail. In fact, modern minimalist design finds beauty in simplicity, as it is the case with the graceful light fixtures below. 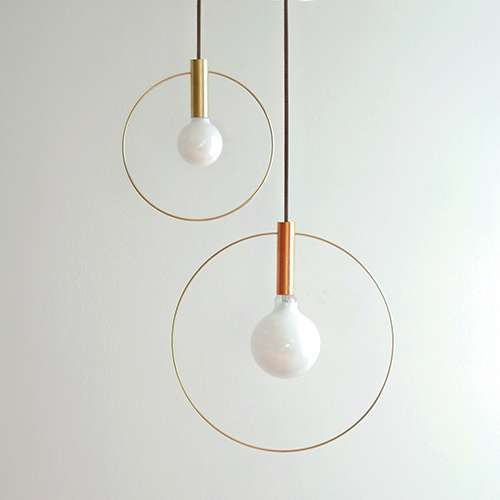 With a singular light source encircled by a ring of brass or copper, the Aura Pendant Light designed by Ladies & Gentlemen studio makes perfect use of this soft and appealing geometric shape. Whether used alone or in clusters, the fixture has the airy look of an aura and turns negative spaces into aesthetic elements. 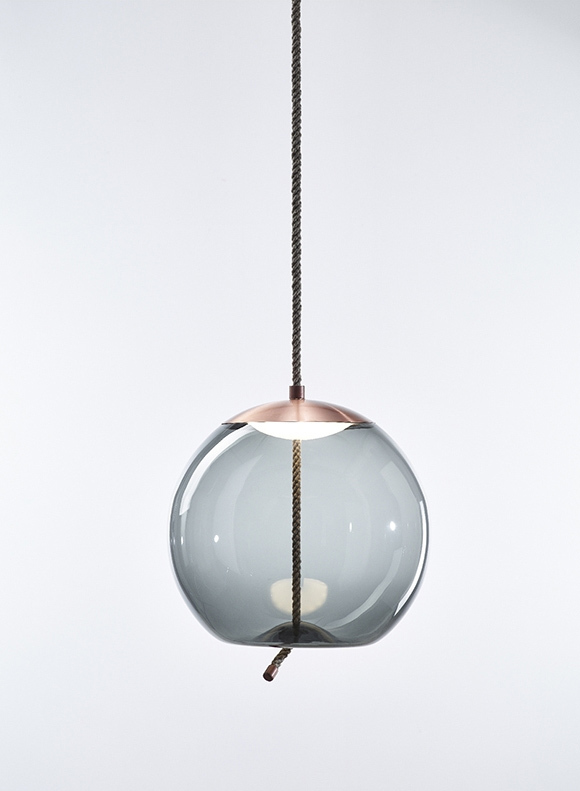 Designed by Chiaramonte Marin for Brokis, the Knot Pendant Lamp is an elegant combination of blown glass and natural fiber. 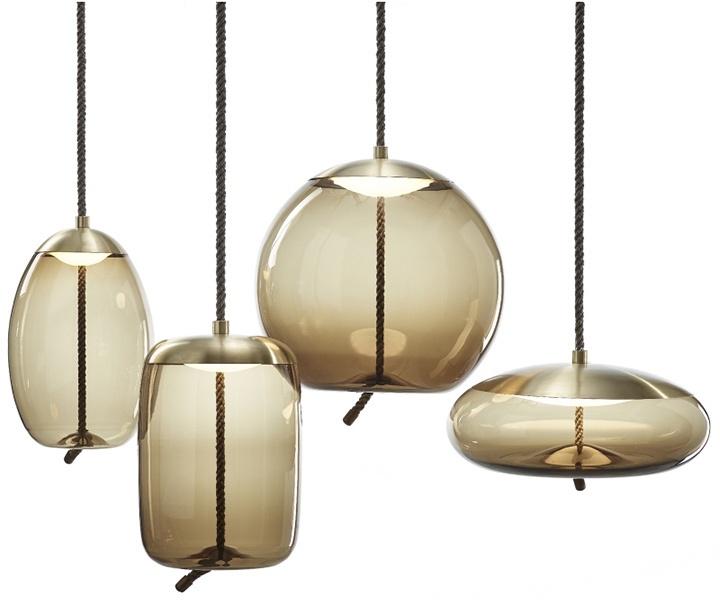 The delicate light shade, with its soft curves and transparency, takes simple shapes, ideal for minimalist interiors, and creates a feeling of effortless beauty. While circles and spheres have an undeniable visual appeal and a special way of balancing out and softening the sharp angles of a space, the Ballet lamp designed by designer Hector Serrano translates the elegance of dance into singular shapes, unique to each piece. 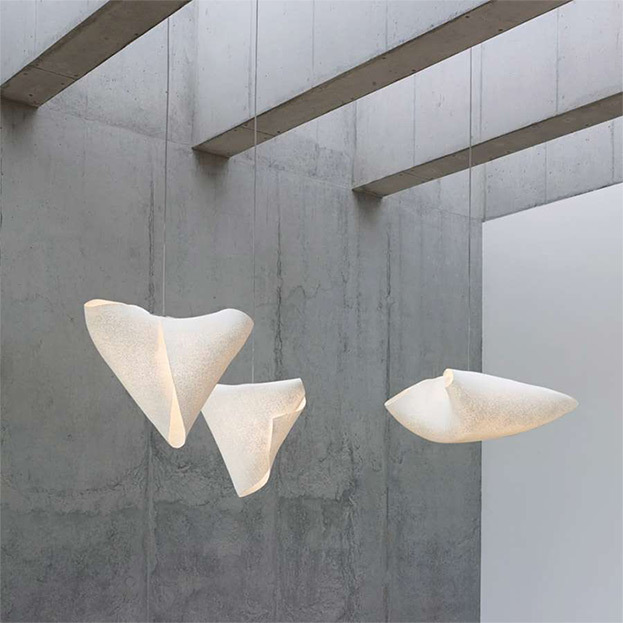 Using Arturo Alvarez’s patented handmade material, a malleable stainless steel mesh with a silicone covering application, the Ballet pendant light has something of the grace and lightness of flight. Taking its name from an archeological find whose shape it imitates, the Nebra pendant light takes the lines of the original metal plate and gives it the transparency of light. The thin, bulk-less shades (designed by Sebastian Herkner) are arranged into compositions that multiply the light and create ambiance. 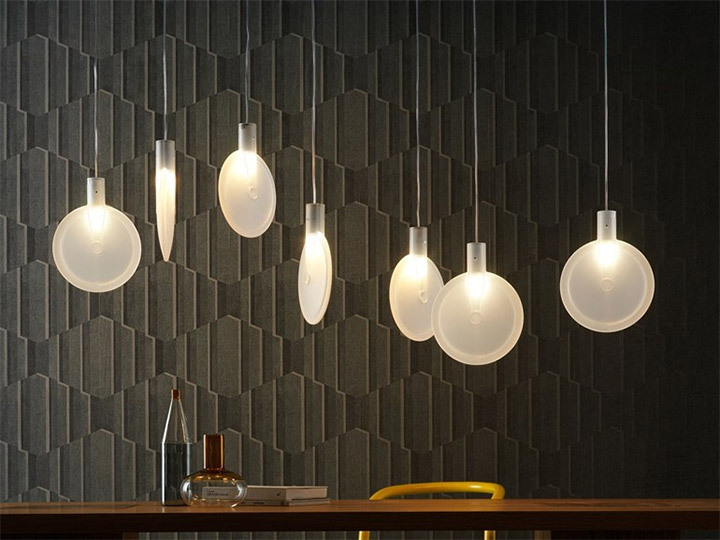 The Bolle pendant lights, created by Giopato & Coombes, draw inspiration from the ethereal look of soap bubbles. 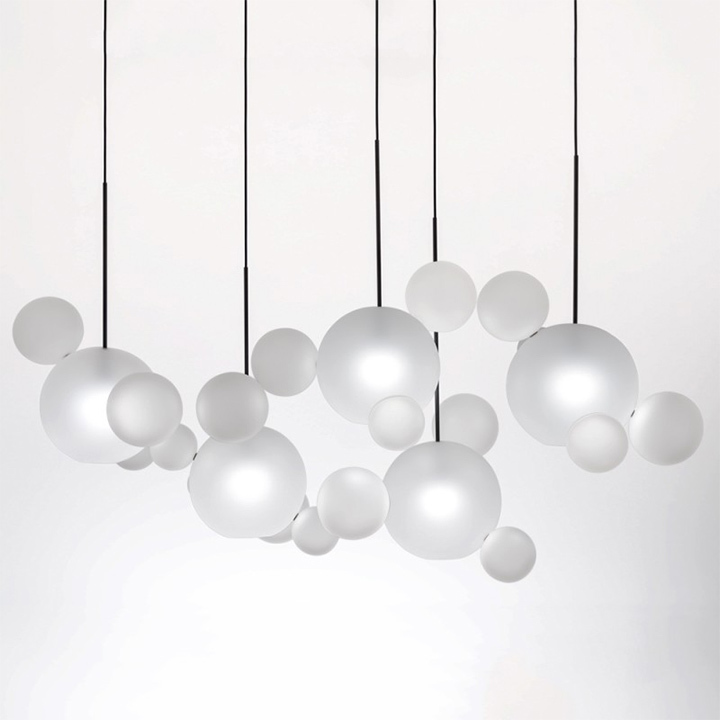 While the shape of the frosted spheres is not necessarily a new design element, the pendants become a metaphor for the diaphanous and intangible nature of light when used in clusters.